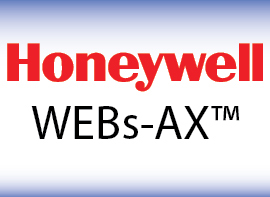 Honeywell WEBs-AX Video — WEBs-AX Video integrates the functionality of video surveillance with other building systems. 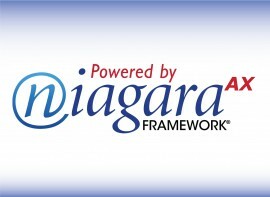 Equipment costs are lowered by using alarms initiated by security or HVAC systems to control cameras as well as by using alarms generated by cameras to initiate control of lights, sirens or occupancy modes. 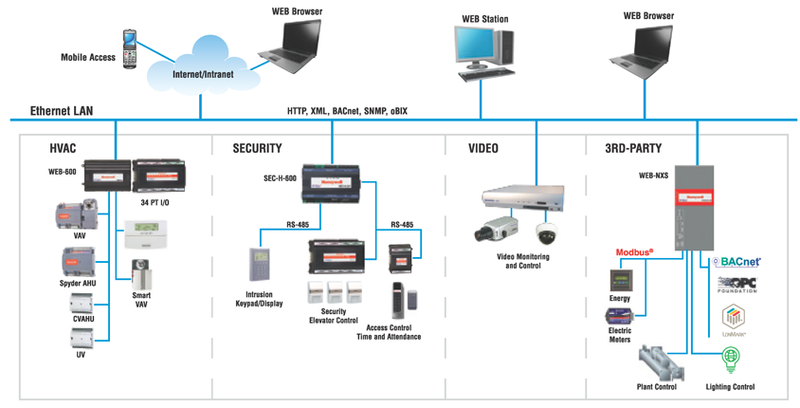 Integrated video allows archives to be quickly accessed from system logs or camera views to be displayed based on system events. You’ll be able to view and control cameras from the same user interface as your other building systems, reducing training and increasing productivity.